See a 35-minute flamenco performance at Los Tarantos in Plaça Reial and experience the sensuality that is flamenco. Watch as the dancers in fabulous costume soak up the passion of the music. Our 22€ ticket includes a complimentary beverage. Choose from Spanish Sangria, champagne, wine beer, or soft drinks. Take pleasure watching an unforgettable show with a fresh drink in hand. 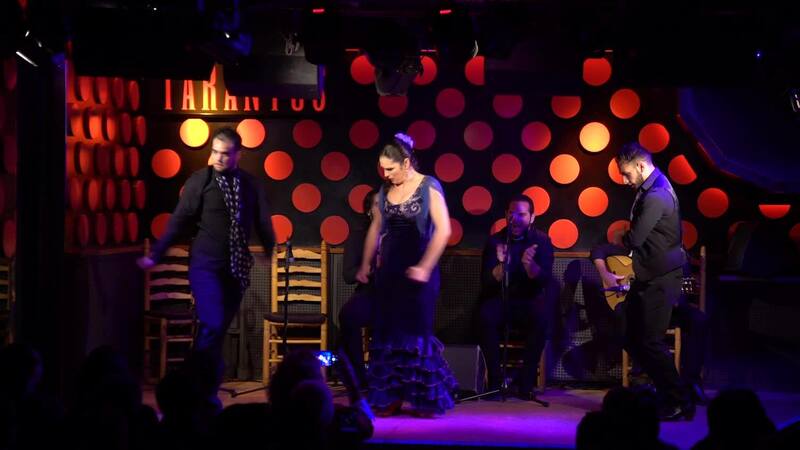 The Tarantos club has been offering flamenco in the centre of Barcelona since 1963. The best flamenco artists have performed in this tablao, the oldest in the city. Maruja Garrido, Antonio Gades, La Tolea, Manzanita, Rafael Riqueni, Duquende, Karime Amaya, and Iñaki Márquez are among the leading figures from different periods who have appeared at the Tarantos. The Tarantos is considered to be among the tablaos with the greatest tradition in the Catalan capital. Barcelona, a flamenco city since the end of the 19th century and cradle of artists of the calibre of Carmen Amaya and genres like Catalan rumba, has been the focus of a scene that includes high-quality emerging and established artists of all schools and forms of this universal music.